Pinoy Boyband Superstar premieres tonight on ABS-CBN, Saturday, September 10, 2016. Tonight is the first airing of ABS-CBN talent search Pinoy Boyband Superstar. Billy Crawford serves as host while Vice Ganda, Yeng Constantino, Sandara Park and Aga Muhlach will sit on the judges table. During the auditions, performers will have to go through the all-female audience first and have at least 75% of them for approval before performing their audition piece in front of the judges. Keep locked on this page, Pinoy Boyband Superstar recap and performance videos will be posted below once available online. 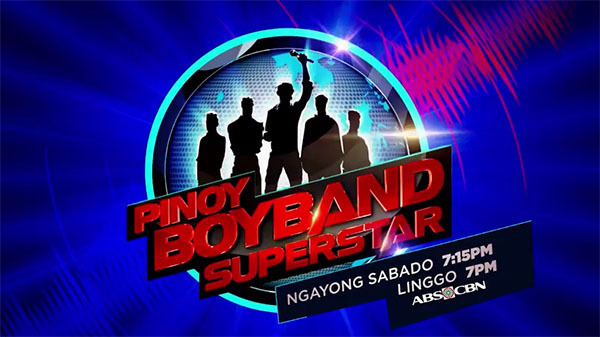 What can you say about Pinoy Boyband Superstar? Share your comments below!